2003 JAGUAR F1 CAR VIRTUAL LAUNCH WITH YAHOO! Without its immensely loyal fan base around the world, Formula One like any sport would be hard pressed to call itself truly global. Given this, our decision to adopt a virtual launch is primarily driven by the desire to give something back to the millions of fans around the world, said Nav Sidhu, Communications & Public Affairs Manager, Jaguar Racing. We originally took the decision to move away from a conventional launch because of the recent re-structuring programme within the team. This would have inevitably put added pressure on the company at what is already a very critical time for us as we gear up for the first race six weeks from now. This first-of-a-kind partnership with Yahoo! brings a different dimension to Formula One fans and in the process, we have an opportunity to communicate to an even wider global audience totalling over 220 million. Furthermore, we hope this will help broaden even further the appeal of Formula One, particularly in new markets such as the Middle East and China where we arrive for the first time from 2004 onwards added Sidhu. Consumers who logon to yahoo.co.uk/jaguarlaunch will have various options at their disposal including video interviews with the drivers, key management and footage of the new Jaguar R4 testing. 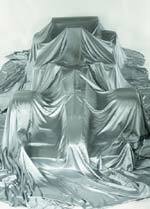 The portal will also allow consumers the opportunity to download photography and literature on the 2003 Jaguar Racing team as well as seeing video footage of the team preparing the Jaguar R4 back at the factory for its first run. 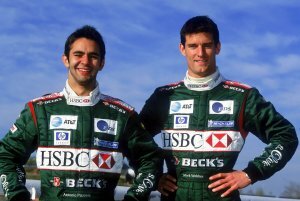 Jaguar’s new driver line-up for 2003, Australian Mark Webber (26) and Antonio Pizzonia (22), will specifically address their home fans with interviews about their respective home races and expectations for the season ahead. In addition, triple world champion and non-executive director of Jaguar Racing, Sir Jackie Stewart, talks about the chances of Michael Schumacher taking a sixth world title in 2003, the future of Formula One and how changes to the race weekend schedule will affect the spectacle. The video footage will also include a lengthy interview with Richard Parry-Jones, Group Vice-President and Head of Formula One, Ford Motor Company. Our sports platform is very important to our core ABC1 male audience and we are delighted to be partnering Jaguar in this unique presentation, said Bob Slinn, Business Development Manager, Yahoo! We pride ourselves on offering an unrivalled Formula One news service and the Jaguar virtual launch is an extension of this, albeit this time the fans will be the first to see the new car and team, added Slinn. What makes this particularly appealing is the action footage of the car undergoing straight-line testing work at Ford Motor Company’s proving ground in Lommel, Belgium - that’s simply fantastic given that the first time anyone normally sees a new car is on a stage in static form, said Slinn.